We’re big believers in the importance of fresh air and exercise for mental and physical wellbeing. 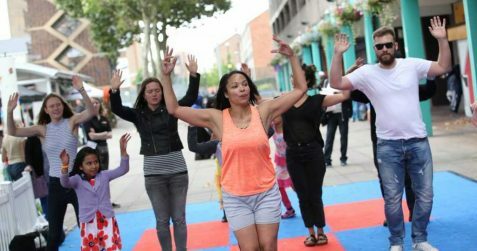 The good news is that a love of nature and a desire to get fit are easily combined – Tower Hamlets is brimming with opportunities to do just that! 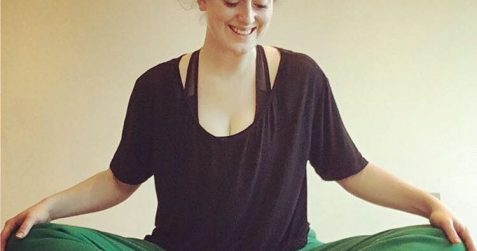 With this in mind, we invited Lydia Stein from local health directory WellOne to give us her top tips on ways to flex your muscles whilst embracing the great outdoors. January, February, March, April, May….June. How did we reach June already? June means summer, summer means nice weather (alright, not always in England – but give us the benefit of the doubt, please. ), and nice weather means the chance to get out of the stuffy gym and into the great outdoors. Green spaces have a vital impact on our mental wellbeing, so it’s about time we used them and reconnected with nature. Poplar is blessed with great places to stretch your legs, take a deep breath, and unwind. Need some inspiration? Why not try out some of our favourite outdoor activities in Poplar! Whether you’re a free spirit who likes to go it alone in their workouts or someone who needs a little bit more structure, we’re here to help, with a guide to making the most out of East London’s outdoor spaces! Bartlett park – next to Poplar Union, and the yummy e5 Roasthouse café if you’re in need of refreshments after a workout. Mile End park – a long, winding path and tennis courts. Venture a little further up the park to benefit from great views of Canary Wharf. Tower Hamlets Cemetery park – activities for kids and adults and plenty of shade to keep you safe from the heat of Summer. The Limehouse Basin – the seagulls will have you convinced you took a day trip out of the city. Want to exercise in the great outdoors but don’t know where to start? Ourparks run free classes in a number of parks across London. Take advantage of the ones in Bartlett park, Mile End park and even Victoria park – among others! Book classes here and start boxing, down-ward dog facing, and dancing in the park. How about taking up a BMX class? That’s a bit 2000s – we can hear you think, but reconsider, because BMX classes have come to Langdon park! Thought your days of cruising around the block in a bike 10 times too small for you were over? Well they’re not – kind of. These classes will see you zipping around a proper BMX track with experienced coaches on hand. Getting fit has never been this fun. Want to keep the kids busy during the summer hols? Check out PATH for a great resource to adventure playgrounds and play spaces and their fantastic play workers to help your children make the most of their childhood. Sick of dry land? Moo Canoes will get you out and about on East London’s waterways in canoes, kayaks, and litter-picks! Who needs a trip to Venice? Get your green thumbs out by getting involved with a community garden! Gardening is a great work out, not to mention a great way to relieve stress and find peace. One of our favourites is Burcham Street, open on a Saturday. Prefer to go solo? Langdon park has an outdoor gym, perfect for those sunny days when you can’t quite bring yourself to spend hours in a stuffy gym. Plus, you get the bonus of being able to dog-watch in the park. Want to get in touch with the animal kingdom? Take a short trip and visit Mudchute City Farm and park – or go a little further afield to Stepney Green or Hackney City Farms. Nothing strikes your fancy? Why not suggest a new activity on the WellOne website and they can look at supporting you to start it!